Seen today: the iPhone 4 in white! White? Yes, the iPhone 4 in WHITE! And it is a beauty! More info in the next iPhoneMagazine, on the shelves in the Netherlands as of March 31.. This entry was posted on Thursday, March 10th, 2011 at 1:27 pm. 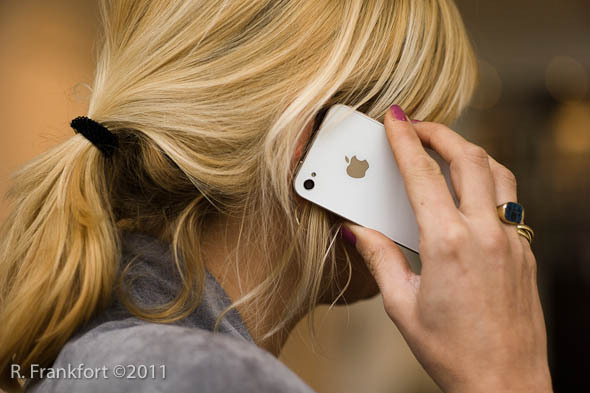 It is filed under All posts, iPhone, Miscellaneous and tagged with iPhone, iPhone Magazine, iPhone4, Leica, M9, white iPhone 4. You can follow any responses to this entry through the RSS 2.0 feed.